- Weddings. - Corporate functions. - Personal functions. - Picnics coming soon. The Tulbagh Valley in the Western Cape is home to Oakhurst Olives. Here, on the farm Lemoendrif, the Du Toit family produces multi-award winning extra virgin olive oil, Kalamata table olives and natural green olives in harmony with Mother Nature. Total dedication to quality in every step from planting to hand-harvesting, to processing and packaging ensure premium quality and pure enjoyment from the tree to the table. A clutch of gold medals and awards won at competitions across the globe – from New York to Sydney and South Africa – attest to our unwavering commitment and fuels our passion to keep striving for the best. The Oakhurst Nursery offers clients a wide range of the best quality true-to-type olive trees. Guaranteed true-to-type mother material is grown under strictly controlled conditions from healthy trees with a history of excellent and regular production. 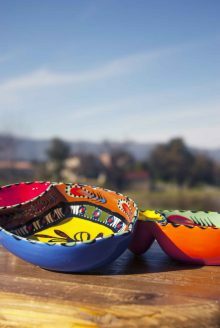 We offer a wide range of cultivars, specializing in own-rooted Kalamata trees and also cater for special orders on demand. Our trees are size graded according to industry regulator, SA Olive, classification and priced accordingly. We strive to give the best service and offer a consultation service to our customers. The Oakhurst Nursery, situated in the Tulbagh valley, is a registered nursery with the National Department of Agriculture (ND) and a member of SA Olive.Nursery Reg Nr 76330001. In our Tasting Centre & Test Kitchen we celebrate all things olive – from tutored olive tastings to masterclasses with leading chefs and gourmet weekend getaways in the charming Tulbagh Valley. Lemoendrif Farm, 6820 Tulbagh, Western Cape, South Africa. Oakhurst Kalamata Table Olives and Oakhurst Extra Virgin Olive Oil was established on Lemoendrif Farm in the beautiful Tulbagh Valley in 2004 when the first olive trees were planted. The Kalamata trees gave their first harvest when they started bearing fruit in 2010. The Kalamata Olives are picked in March to April and are immediately put into brine. They stay in their barrels for a minimum of 10 months. So what you are eating is pure Kalamata Olives, nothing more and nothing less! 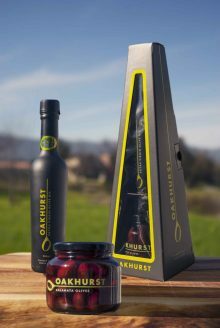 The Oakhurst Extra Virgin Olive Oil is made of a blend of the fruits from 10 different varieties including leccino, frantoio, carotina trees, which are all propagated and grown on the farm. The olives are picked and cold extracted on the same day. The picking season is from March through to June. The oil is produced on it’s First Pressing thereby ensuring you of a delicious fresh and peppery Extra Virgin Olive Oil. Olive Oil has a shelf life of approximately 2 years but the rule of thumb is, The Fresher the Better. Older oil looses it’s aroma and taste over time, as the oil gets older, it begins to smell and taste like cooking oil and the good and healthy properties of the Olive Oil is lost. We hand pick our entire crop, it is the only way you can ensure that only top quality fruit is used for processing. 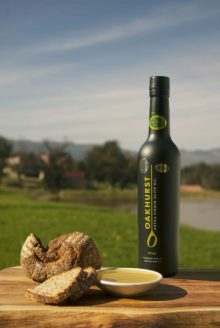 Oakhurst Olives achieved, 1st place in category as well as the best Olive Oil in the competition, in the Annual Marco Zichella - Oliomio Extra Virgin Olive Oils of Southern Africa Awards held in Stellenbosch. 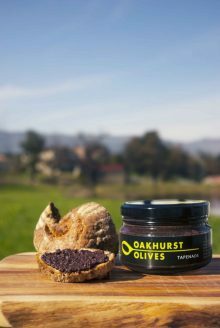 Oakhurst Olives gets Grand Mention Diploma's for both the Olive Oils entered into the First Tri-Nations Olive Oil Competition between Australia, New Zealand and South Africa. In total 97 Oils where entered into the competion. 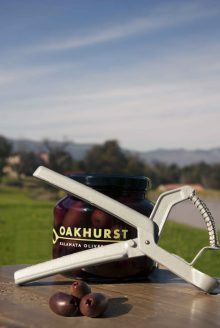 Oakhurst Olives achieved a TOP 10 position in both categories entered. 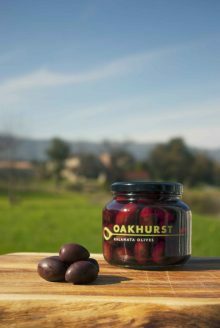 Oakhurst Olives works very closely with, The South African Olive Research Council, to be on the forefront of new developments and Cultivars. We are constantly evaluating new cultivars and processing methods for both the, Table Olives as well as the Oil Olives. Our Manager and research team have spend extensive time in Italy and Spain, talking to the leading Olive Professors from various Universities, on the latest developments. On that one trip, we had meetings with 14 Professors and went to 7 research facilities. This year, we went to the Olive Conference in Argentina and also visited Chile and Brazil. The result of this research, we have adopted the method of high density planting. Traditionally, Olive trees have been planted at 400 trees per hectare. We plant at between 1200 and 1500 trees per hectare using poles and wires and thus forming Olive hedges. The benefits of doing this is huge. The orchards become a lot easier to manage and it doubles the production per hectare. Oakhurst Olives also has it’s own Nursery where we propagate our own trees and develop new varieties, after an extensive evaluation period, some of these new varieties may be released into the market. Dr. Drew Ramsey, M.D. and clinical professor of psychiatry at Columbia University, appeared on the Today show to share information about how olive oil impacts the brain and your overall health.